"Our music is inspired by fun," says JPNSGRLS drummer Graham Serl. "We have such a good time playing our songs loud and fast. We get sweaty and get people dancing." Singer Charlie Kerr nods in agreement and adds, "That's pretty much the modus operandi of what we've been doing since we were 17: what can we do that will get people excited?" JPNSGRLS — pronounced "Japanese Girls" — formed in Vancouver in 2010 with a lineup that includes Serl, Kerr, guitarist Oliver Mann and bassist Chris McClelland. 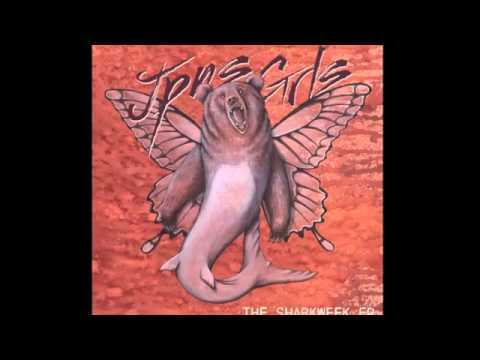 Their name was inspired by the female Japanese rock band Mass of the Fermenting Dregs, and they made their debut with The Sharkweek EP in 2013. For their brand new debut LP, Circulation, due in the of summer 2014, the outfit hunkered down in Vancouver's Greenhouse Studios with producer Steve Bays (Hot Hot Heat, Mounties). The 12 songs were tracked in just seven days, and they mix straight-out-of-the-garage noisiness with earworm hooks and genre-jumping eclecticism. The album was mastered by world renowned engineer Greg Calbi (Yeah Yeah Yeahs, MGMT) and it presents JPNSGRLS as a force to be reckoned with. They recently completed a Canadian tour with Mounties and more outings are planned for later this year.